Just because you're one of the biggest stars in the world – or on your way to becoming one –that doesn't make you immune to bombing an audition once in a while. There have been many bad audition stories from great actors; some dating back to when they were just starting out, and some occurred after they were already household names. Nerves almost always play a prominent role in these awkward audition experiences, proving that even mega-talents struggle with stage fright now and again. Real-life stories about horrible auditions wouldn't be complete without the experiences of both respected, longtime industry veterans, and relative newcomers – stars who are fast on the rise. In each, we can appreciate the absurdity (and often, the hilarity) of the actor's predicament, while also taking away a bit of inspiration. It also helps knowing that the impact of a bad audition is by no means permanent; in some cases, the actors even ended up landing their respective jobs. Pop some popcorn and enjoy these truly humiliating audition stories from some Hollywood A-listers. Before she was the First Lady of American Cinema, Meryl Streep was just another struggling actress in New York City. When she was 27, Streep was called in to audition for Dino De Laurentiis's remake of King Kong. But it wasn't her performance the producer had an issue with; it was her looks. In Italian, De Laurentiis started commenting, right in front of her, on how ugly she was – but little did he know, Meryl Streep also speaks Italian. "I'm sorry you think I'm too ugly for your film," she told him, "but you're just one opinion in a sea of thousands, and I'm off to find a kinder tide." As history would have it, the movie was a major failure, and Streep became the most celebrated actress of all time. In the Academy Award winning film, La La Land, a scene showcases Emma Stone's character auditioning for a casting director, and in the middle of an intense and emotional monologue, the casting director takes a phone call. (Stone deserved the Oscar for this scene alone.) But in real life, this actually happened to Ryan Gosling. During an audition, Gosling was baring his heart and soul in an emotional performance, when some casting director cut him off with a phone call. That casting director is probably more than a little regretful today. 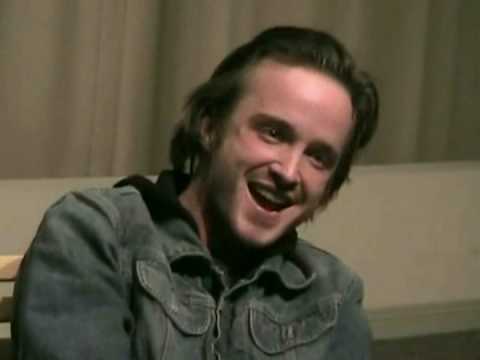 As Jesse Pinkman on Breaking Bad, Aaron Paul won three Emmy Awards and earned a permanent place in pop-culture history. But his audition for the legendary series was far from impressive. Paul flubbed his lines, got lost a few times, and even swore during the awkward reading. Realizing his poor performance, Paul apologized to the casting director before leaving. However, this obviously did not stop the young actor from landing the job. In fact, not only did Paul win the role of Jesse Pinkman, but he made him one of the most unforgettable characters in television history. "[The audition] was in a disused tax office... I was 46. They put me in very tight hipster loon pants, four-inch fake alligator platform heels, a top that did not meet my trousers, eye make-up, and hair extensions. I had to karaoke to Deep Purple's 'Smoke on the Water.' After all that, you really want to go home." The things artists will do for their art.